When you think of organization, what comes to mind? Is it Tupperware containers, The Happy Planner, your laundry basket, or maybe an accordion-style folder? Maybe you think of your OCD mom, your perfectly put-together 3rd grade teacher, or your grandmother's china cabinet. 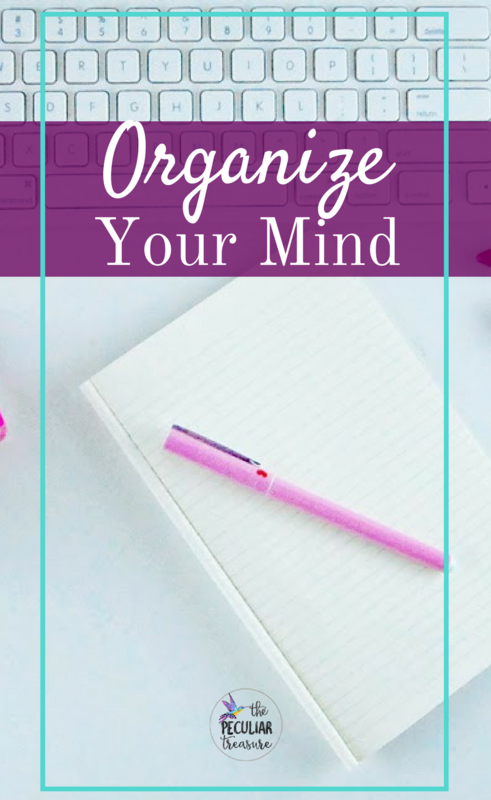 We probably all have a pretty good idea of what it looks like to be organized when it comes to physical items and tasks, but I think that we often forget about organizing our minds. And really, that makes sense. Plenty of people say they need to organize their closets or bookshelves, but very few people say, "today I need to organize my mind". The truth is, though, if we are disorganized in our minds, our success, productivity, and ability to live in freedom will be hindered indefinitely. But how exactly do we do that? What does it mean to organize our minds? Keep reading to learn more! When you are at work, focus on work. When you are home, give your attention to your loved-one's and taking care of your home. When you are spending time with friends, focus on doing that. Don't start stressing about work while with family, or friend-drama while at work. This may sound impossible, but it's not. It's all a matter of habit. We've let ourselves become mentally disorganized, and now we need to form new habits. "If I have a goal to focus my mind on the right things then I need to set myself up for success. From there I think about my allies and enemies. Then I promote the allies and remove the enemies. Those two steps are the toughest because it means being real and honest with myself." The Bible tells us that as followers of Christ, we should be thinking on what is right, good, true, lovely, and admirable (Phil. 4:8). There are times that I will catch myself "daydreaming" of the worst-case-scenario about one issue or another. I have a very vivid imagination and I am really, really skilled at imagining really bad outcomes. But when I have entered into that kind of mindset, I often realize it. It all of a sudden hits me that those thoughts are not true, not good, and not accomplishing anything of value. It's then that I have to choose to re-organize my thoughts and begin focusing on what is good. 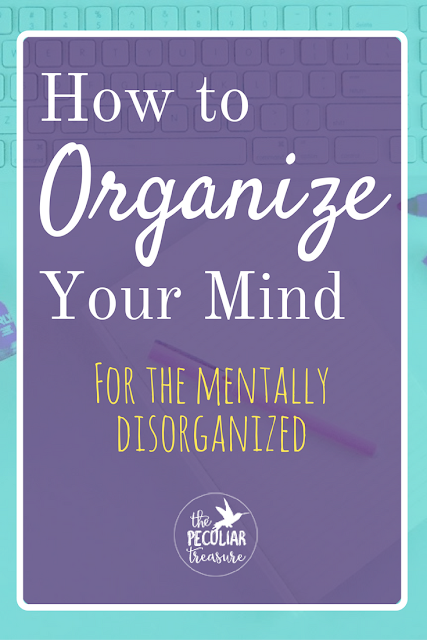 If you are someone who struggles to stay organized mentally, you probably find yourself stressed out because you have wondered or procrastinated. If that's the case, use that stress to your disadvantage. Stay mentally "organized" by pushing yourself to finish a task all in one sitting. Remember that you will feel even more stressed if you don't go ahead and finish the task. Hopefully that is enough motivation to keep you successful. On the flip-side, I asked my friend Jeff what he thinks about organizing his mind, and he gave a different (yet helpful) perspective. "I don't really organize my thoughts. I'm very goal oriented, so if I have a project due and a deadline to meet, I have a sense of urgency to get it done, and I'll be bothered if it's not done. So I work toward productivity by setting a goal and not resting until I meet it." I like having Jeff's view on things, because I know not everyone "organizes" or "gets productive" the same way. Jeff is one of the most driven, motivated people I have ever met, so if you tend to be more like that, maybe Jeff's approach could help you! Organizing your mind is a very important practice. It's something most people probably need some improvement on. So if you find yourself constantly trying to multitask your life, too scattered to function, or simply frustrated with the direction your thoughts keep going, I hope these tips will help you. And I would love to hear about whether or not this is something you struggle with. Comment below to chat about it! Enjoyed reading all your suggested ideas on how to organize a mind. That is where it all starts and I am always surprised when some people don't know how to do this. Glad it is being addressed. Thank you, Candace! I agree! It really does need addressing! This is SO good and I can so relate! I even find when my home is cluttered my mind is more cluttered too. Thanks for the tips and reminders! I especially love "Use Stress To Your Advantage". That's something my mom has always talked to me about. Even though I struggle to keep an uncluttered home, I do see a difference when I follow through. Another big one: out your phone away! Keep it in the drawer at work where you can eat it if it rings, have a removed charging station at home. Otherwise it holds your attention and you can't be truly focused on the task at hand! That's such a great point and something I am AWFUL about! I have got to correct that. I love how you talked about using stress to your advantage! Basically use it as motivation to get things done! Loved this post! Thank you, Kiara! Glad you enjoyed it! Great tips! 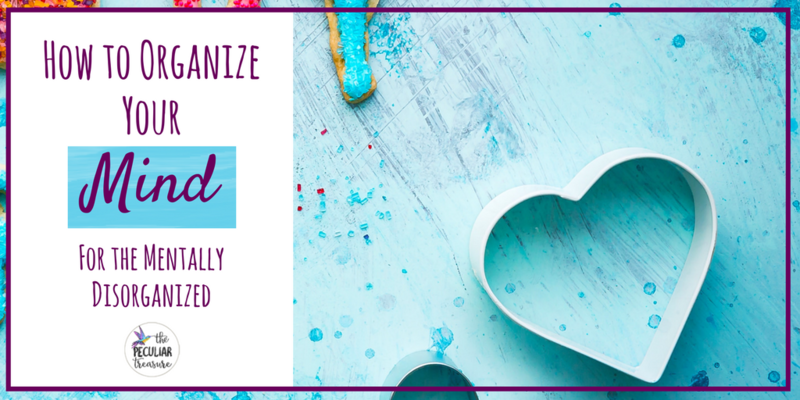 I like the idea of compartmentalizing...that is so important! Thanks, Abbey! That's one that I have to work on a lot, but it is so important! I like the "using stress to your advantage" piece. The key is to figuring out what kind and how stress helps you. What works for me makes others freak out and panic. Definitely good to think about! So true, Kendra! We MUST find what works for us personally, because otherwise, we will just stay stressed, defeated, and unproductive. Love this post so much! 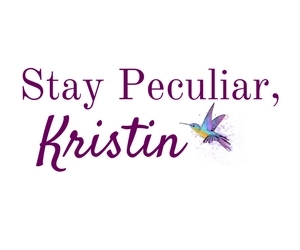 I am like you where I envision a worst case scenario and I end up really freaking myself out. And unfortunately it only gets worse once you have kids. I get so worried that something terrible will happen and I get all stressed. I know it's the devil trying to get in my head. 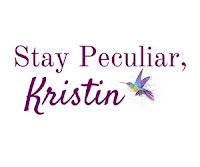 It is a tough battle and this post really helped get me back into the right place mentally. Such an important topic! It's way too easy to get caught up in negative thoughts or things that are really frivolous. Yes yes, I have a hard time with mind organization. I liked this!! It's not a good habit of mine, but I tend to leave projects until the last minute because I need that external deadline to fuel my sense of urgency. Whenever I work on things ahead of schedule, I find myself languishing in all of the extra time in a way that makes me run late later--I need the deadline to keep me from spending too much time on each individual step! Great tips. I used to have a very scattered and unproductive mind. I've really had to learn how to avoid distraction, stay focused and productive. I too have that vivid imagination with a knack for picturing bad outcomes, I hate when I do that. Typically I notice my mind goes there when I'm stressed or overly tired. Good read!